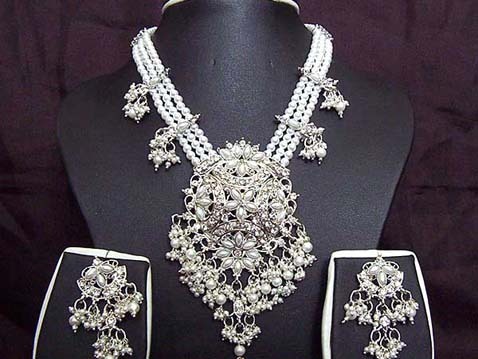 Jewelry is an indispensable part of Indian lifestyle and Indian weddings. They even have cultural though process added to it. 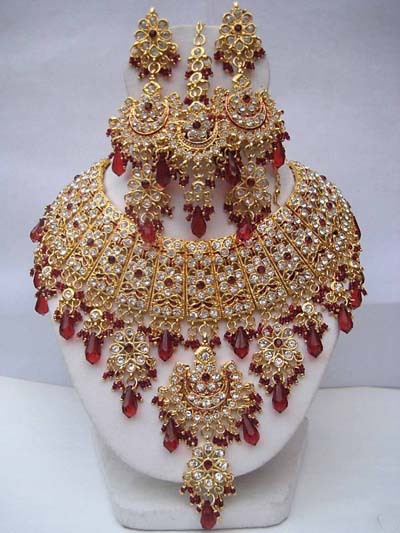 Indian wedding jewelry is considered as an asset which is passed on from generation to generation. Indian jewelry is known to have a strong historical background which traces back to 5000 years in the past. India is a country of contrast and variety with a mixture of different traditions, belief and values. Every state in this country has a rituals and traditions of its own when comes to jewelry. Celebrating Indian weddings without Indian bridal jewelry is almost an idea unimaginable. Indian families are very particular about their wedding ensemble, particularly the wedding lehenga or bridal saree. The accessory she wears is like the cherry on the top of a dessert. Scintillating gold Indian wedding jewelry always plays a perfect part in enhancing the appearance of the bride since gold is considered pretty auspicious in India. Jewelry is not much seen as a symbol of status in India. Mothers are seen passing their heritage Indian wedding jewelry to their daughters and daughter-in-laws as a part the rich custom. Indian jewelry has gained its popularity not only in India but all round the world for its classiness and elegance. Fashion industry has seen immense improvement and advancement in designing of India bridal jewelry where jewelry designers are using special kind of materials to make each piece exclusive and unique. The aim is to cherish the moment for ever. Different materials require different finishes to give a completed look on the jewelry. A few of the most popular type of finishes includes brushed, hammered, satin or matte and high polish finishes. It is seen that highly polished finish jewelry is the most popular amongst Indian wedding jewelry as they add sheen to the jeweled pieces and make it highly reflective. While satin or matte finish jewelry offer less shine and reflection and is embedded with multicolor precious and semi precious stones. Brushed finish presents a textured look leaving some brush stroke effect. The hammered or embossed finish is used to give a distinctive wavy texture to the jeweled ornaments making it perfect for the occasion.